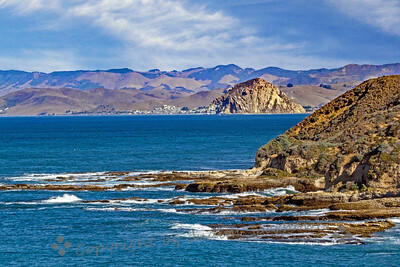 Love of the Sea ~ A visit to the ocean and all things coastal. 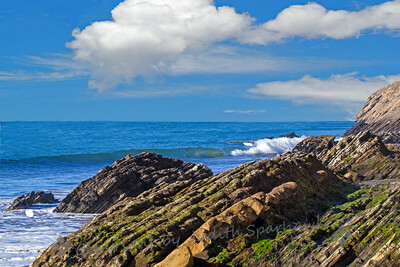 Coming home from up the coast last week, we made a stop at Gaviota State Beach. It was a beautiful cool day, and was a good pit stop. 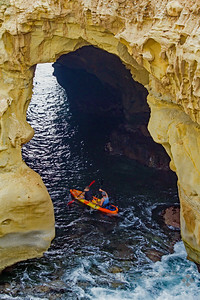 This cave goes through the cliffs is at La Jolla Cove, in the San Diego area. These kayakers were attempting to go through and out into the surf. 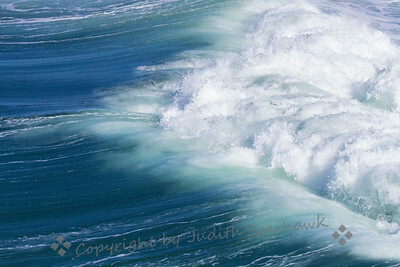 The trick is to paddle really really hard in between the waves. They made it! I walked out on the Imperial Beach pier on Christmas morning. 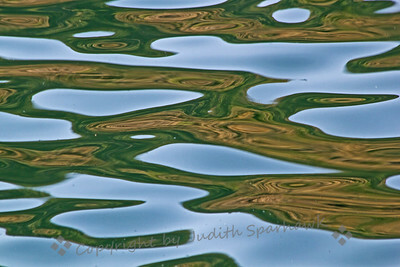 Looking down from the pier, I watched the waves breaking, and they had this wonderful color and pattern, always moving, always changing. Imperial Beach, CA. 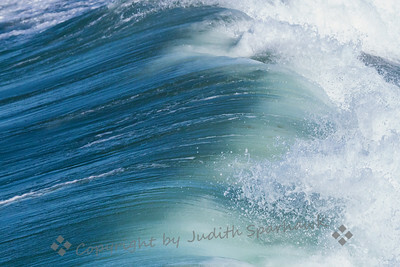 Watching the breaking waves from above on Christmas morning, I saw this amazing color and shape. Just beautiful. Imperial Beach, CA. 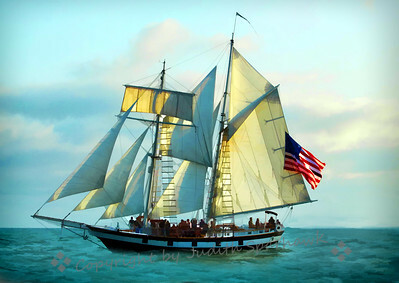 This is a re-do of an image captured a few years ago at the Tall Ships Festival in Dana Point, California. 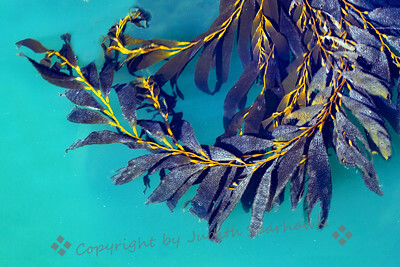 I gave it a more painterly look with Topaz. 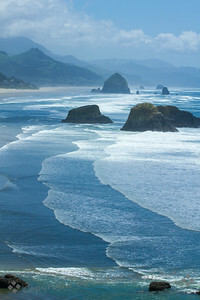 Low tide at Cannon Beach. 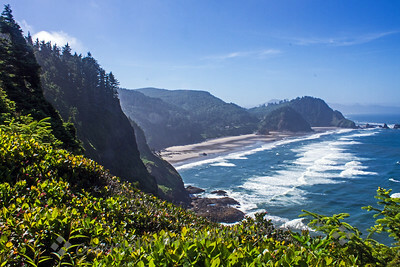 Indian Beach is around a point or two from Cannon Beach. 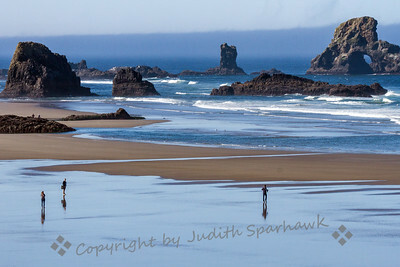 This low tide morning allowed people to walk far out on the sand, which had been covered by surf not long before. The fog bank hovered at the horizon line. Low tide allowed a walk on Indian Beach. 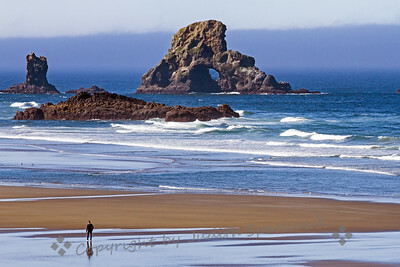 Boiler Bay is a point on the Oregon Coast, south of Newport, often shrouded in fog. 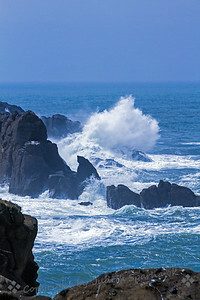 This day there was blue sky and sea! 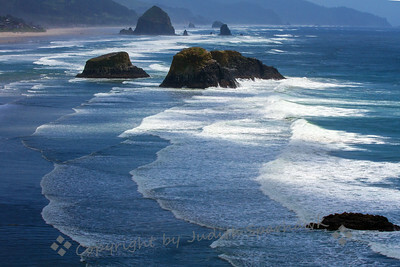 After crossing the long bridge between Astoria, OR and WA, decided to explore this area of Washington for a morning. 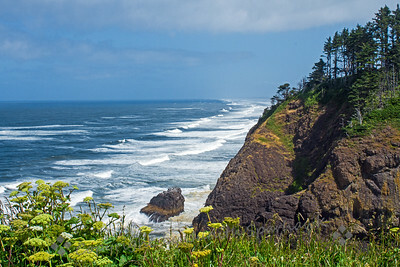 Went to Cape Disappointment, including North Head, where the North Head Lighthouse is. This was the view. 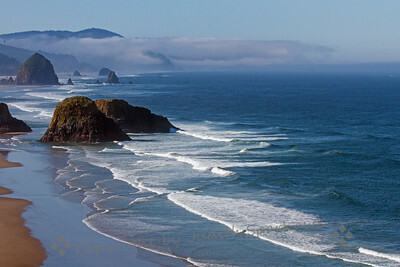 A view of Cannon Beach, from Ecola State Beach lookout. 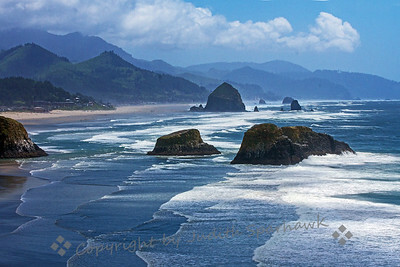 Another view of Cannon Beach, showing the deep beach with multiple waves. 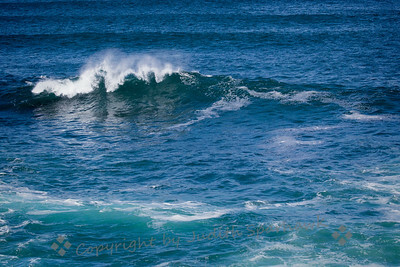 I liked the patterns of waves on the beach. 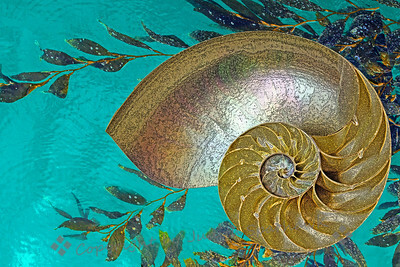 Having fun with a filtered nautilus shell in the midst of kelp in the ocean. 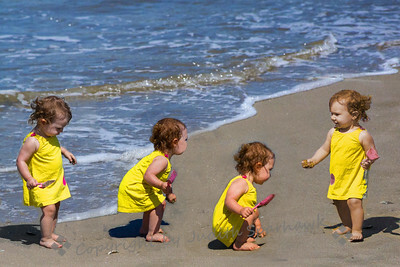 This little girl was so cute, playing on the beach today, I took several shots of her. It was fun creating a composite of four of these shots. 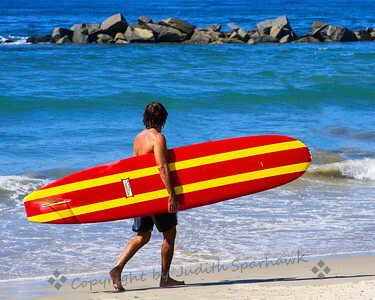 A surfer at Venice Beach, Los Angeles. Another of my mermaid series.